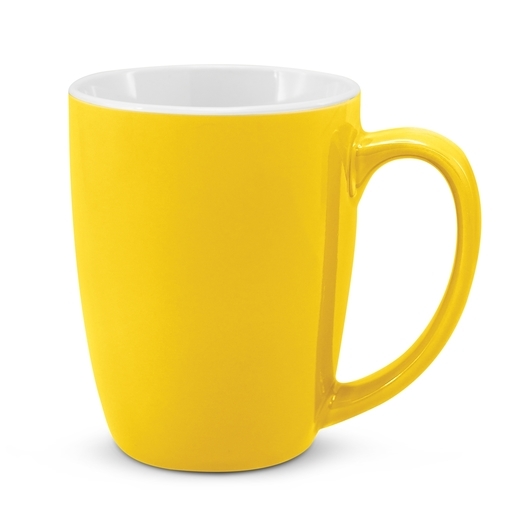 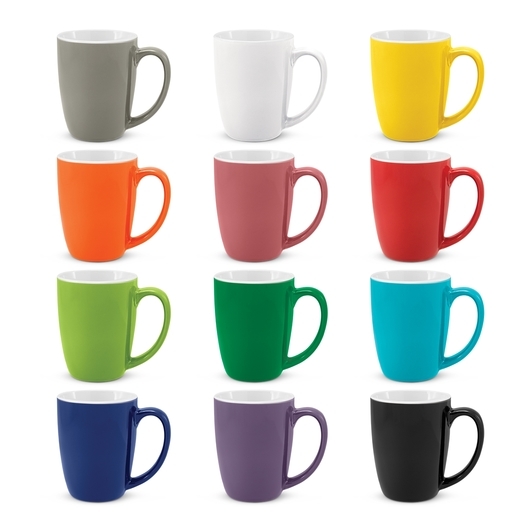 A 300ml round coffee mug available in stunning bright colours. Seriously one of the best partners you can grab to enjoy your morning cuppa! 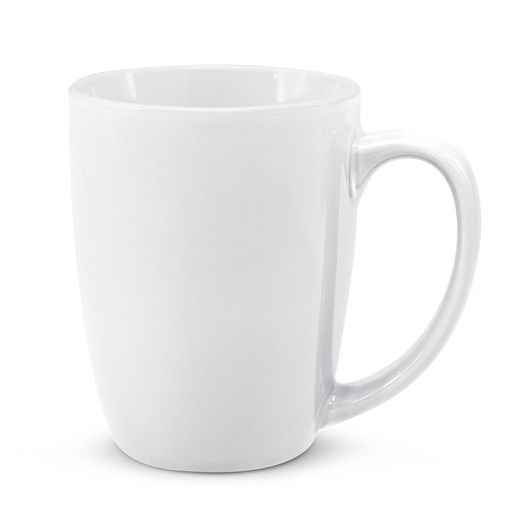 This 300mL round stoneware coffee mug features a white coloured inside and a stunning range of eye-catching outer colours. 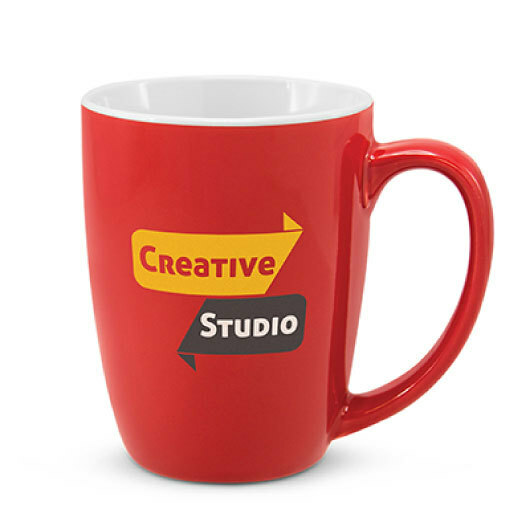 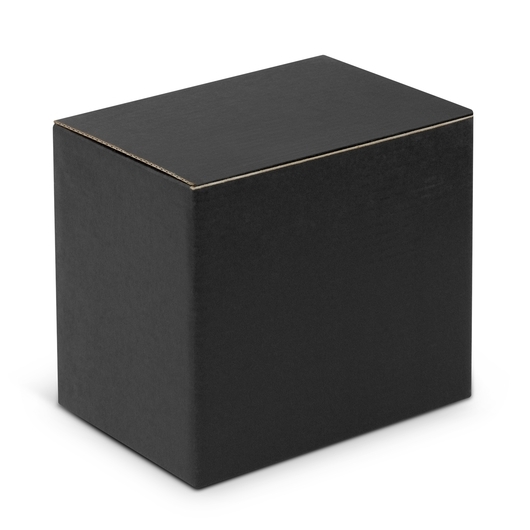 It is manufactured to be dishwasher safe and comes presented in a black gift box making it the perfect promotional gift item!